Diet to Go: How Does it Work? Home » Blog » Diet to Go: How Does it Work? Extra weight is a problem many of us face at some point in life. Losing that weight can often be easier said and done because of the way we live and our eating habits. Changing those habits is the key to success, but you can’t do everything alone. Click here to find some help with that! Staying true to a diet plan is really hard, especially if you’re used to eating large portions. Regular exercise will definitely help, but you first have to know what to eat. There are certain food types that can keep your stomach full but they are low in calories, so you’ll end up losing weight in the process without having to starve. This diet has proven to yield results for thousands of people who have been struggling with losing weight. Unlike most other diets, this one provides you with a full meal, with cutbacks only on the ingredients that are rich in calories, sugars, and carbs. They are the number one reason for extra weight, which is why they have to be eliminated from your menu. That’s nothing new or revolutionary, but the way the diet is executed sure is. Namely, instead of having to buy all the ingredients, prepare them, and serve the right amount, you only have to eat. Once you pay for the diet services, you will get all of the diet food you need to complete it. That means that you need some room in your freezer first because you’ll get a large package of lunches and dinners. The menu is a result of careful planning and dosing by experts that guarantee its success. Every meal looks rich and is prepared from the highest quality ingredients rich in vitamins, minerals, and taste. The food is cooked and carefully measured to fit the diet plan perfectly. All you have to do is to prepare the food or heat it in a microwave, and it’s ready to eat. If you ever wondered about does diet to go work, here’s the answer. Diet-To-Go is a complete meal plan for either 5 or 7 days in a week. The reason why you are able to lose weight is due to the carefully prepared dishes. The diet has over 20 tasty meals you can choose from. Every meal is a result of years of customer feedback. During the years, some meals were removed from the menu as clients didn’t like them. New meals found their way to the menu that is very balanced, and it’s designed for everyone, including vegetarians and vegans. There are three different menus to choose from, depending on the person’s problem. They are Balance menu, Balance-D menu, and Carb30 Menu. For more information check out our diet to go review and learn more about their meal programs. The Balance menu is the oldest menu in the services, and it combines super-tasty restaurant-style meals that were carefully prepared to keep all of the good stuff and lose all of the bad stuff. The meals are all nutritionally-balanced, making sure that you get all of the food you need to function correctly while still losing weight in the process. 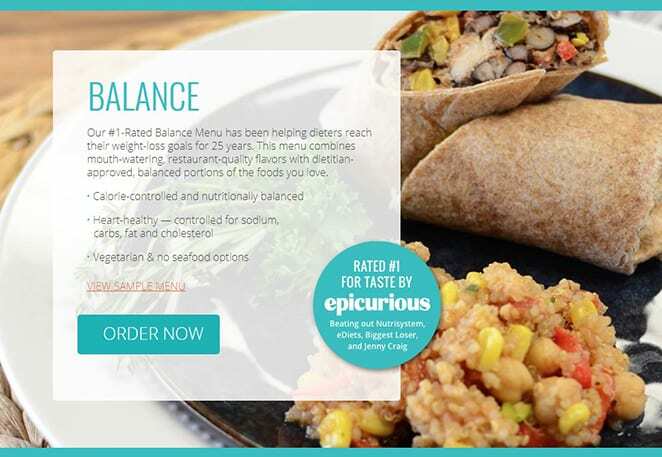 The Balance-D Menu is a result of careful preparation as it is meant for people who suffer from diabetes. The plan is put together working closely with the American Diabetic Association guidelines for Pre-Diabetes management and Type 2 Diabetes prevention. People who suffer from this disease find it hard to stay on a diet as many ingredients including vegetables are rich in sugars. As you know, diabetic people can’t process sugar, so their blood turns sweet, which can lead to serious health conditions and even death. This diet plan will make sure that they eat only the food they can take while losing weight in the process. Diabetic people are prone to gaining weight because their bodies can’t process all of the food equally due to a slower metabolism. This diet plan is designed primarily for them, and it provides results in a matter of weeks. Carbs or carbohydrate foods are the number one suspect for obesity. Carbs are what gives you energy, and if you intake too much of them, they will stick to your body in the form of fat. This diet type offers a number of tasty dishes that are rich in protein and vitamins but also low in carbs. That means that you’ll get to eat as much as you need without gaining extra weight. In fact, the diet is designed to help you lose weight in the process. You can lose as much as 20 pounds during the first month. Keep in mind that all of these diet plans were designed by nutritionists and they kept changing for the last 20 years. The menus today are the result of lots of experimentation. One thing is for sure – these diets deliver results as promised, you just have to stick to the plan. The Diet-To-Go is nothing new, it was started in 1995 and has been going strong since. More and more people realized that the plan helps them lose weight and stay healthy, which is why it’s so popular today. Apart from losing weight and living more healthy, this diet has a bunch of benefits you didn’t consider. The Diet-To-Go plan is one of those things that is not hard to prove. There are so many weight loss success stories from previous users; no one is questioning its efficiency. Of course, there are some negative sides, but if you want to lose weight, this diet is a big step forward. Preparing a meal is easier said than done. You first have to shop for all of the veggies and ingredients, which can sometimes take a lot of time. The low-carb and low-fat meal plans by Diet-To-Go will drastically cut down the time you need to prepare a meal. You get to enjoy healthy meals full of veggies, but you can change the plan at any time. You’ll have the chance to enjoy foods like blueberry muffins, salmon burgers, grilled turkey, boiled veggies, and so on. The vegetarian menu has some of the best recipes like the Black bean Chili and the Greek pasta salad. Food preparation and planning is the number one reason why people find it hard to lose weight. The diet plan will provide you with the perfect mix of protein, carbs, fats, and calories right away, saving you plenty of time in the process. 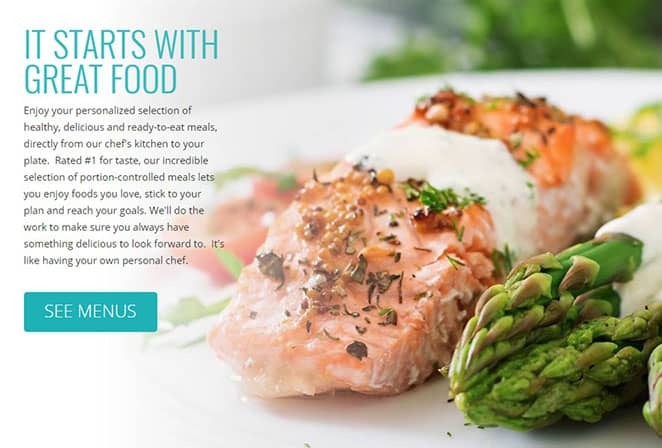 With the Diet-To-Go plan, you won’t have to leave your home to be able to live much healthier. That is especially helpful if you spend most of your time on work or other activities. Going to the restaurant also takes a couple of hours, but this diet plan doesn’t. The food you get is already prepared so that you can enjoy it right away. You can order it to your home or the office, which is just awesome. If people knew what foods were healthy for them, there would be no need for a service like Diet-To-Go. 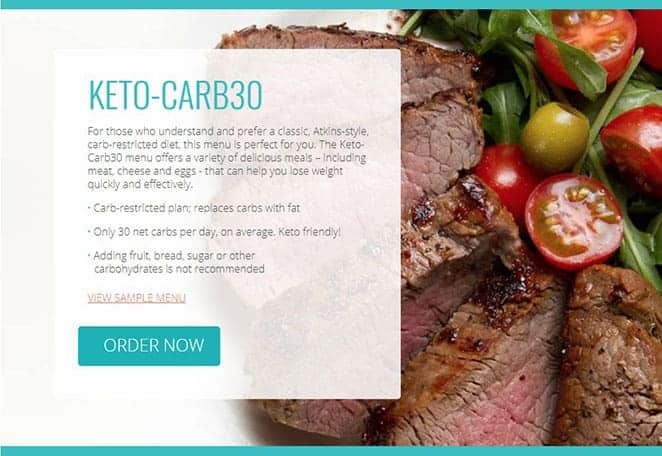 Choosing your diet plan can be a complicated task, so if you don’t really know what type of food suits your situation, you can contact the Diet-To-Go customer support and they will help you find what you need. Their staff is professional and experienced. You will be talking to experts that will explain exactly how things work and what are the things you need. You can contact them at any time, and they will provide support through the entire weight loss process. Diet-To-Go is a well-trusted company that has been up and running since 1995. It’s based in Lorton, Virginia and it’s the most trusted such diet on the market. That means that you don’t have to worry about trusting the company. These are just some of the great benefits you’ll have by going with this diet; there are many more. Considering the facts we’ve talked above, and the fact that each meal is based on a 1200 – 1600 calorie plan, the diet guarantees that you’ll lose some weight. You can choose between a 5 or 7-day plan, depending on your needs, but the results will be the same. You will eat healthier foods, and you’ll have more free time as well. Give it a try, and you won’t be sorry.